Commercial and industrial contractors of refuse and recycling facilities must possess a good understanding of the enterprise and of the processes involved. Processing garbage and recyclable materials has enough unique characteristics that without such understanding contractors cannot be successful. They need to take a global approach to the undertaking and to consider not just the construction aspects but also the ancillary characteristics, including: the land, environmental issues, zoning rules and regulations that govern permitting. The contractors of refuse and recycling facilities who fare the best are the ones who keep up with modern trends and understand how evolutionary the business of processing refuse is. These facilities require a lot of machinery to recover refuse back into reusable stock. Nowadays, commercial single-stream recycling facilities (SSRF) have installed sophisticated equipment that can sort different materials from one another, including: magnets, optical scanners and screening devices. This broadens their customer base by eliminating the need to separate paper, cardboard, plastic, glass and metal into different containers. Contractors should anticipate designing the facilities they build to accommodate changing processes like these. Additionally, many refuse and recycling businesses have environmental concerns and aspire towards sustainability. They are interested in demonstrating their good citizenship by hiring contractors who are expert in green building practices and in qualifying for LEED certification. To handle this level of complexity the contractor must possess excellent project management skills. This ability of an industrial contractor to comprehend the overall purpose and operation of refuse processing without having the details fall through the cracks is best achieved through construction management practices. Such practices place emphasis on pre-construction services, extensive communication with business owners to eliminate loose ends down the road and careful consultation with architects to arrive at a solution that is constructible, efficient and economical. The result is fewer surprises that are excessively costly to fix, contracts completed within budget and on schedule and thoroughly satisfied customers. Naturally, successful industrial contractors are able to demonstrate their expertise in modern building practices, including constructing with tilt-up concrete when that is the most appropriate solution and erecting steel buildings when conditions so indicate. Successful commercial contractors can also prove expertise in designing facilities that best accommodate the process flow of the particular industrial enterprise at hand while supporting the heavy machinery involved. These strengths must also be augmented by the flexibility to adapt to changing technologies as they evolve. Facility Builders & Erectors (FB&E) is an industrial contractor well versed in building facilities for recycling and for the processing of refuse. Our years of experience include a long-term contractual relationship with a large corporation in waste processing. We have also become familiar with a broad variety of assembly line setups, equipment needs and plant layouts through our construction efforts for enterprises in manufacturing and public works. 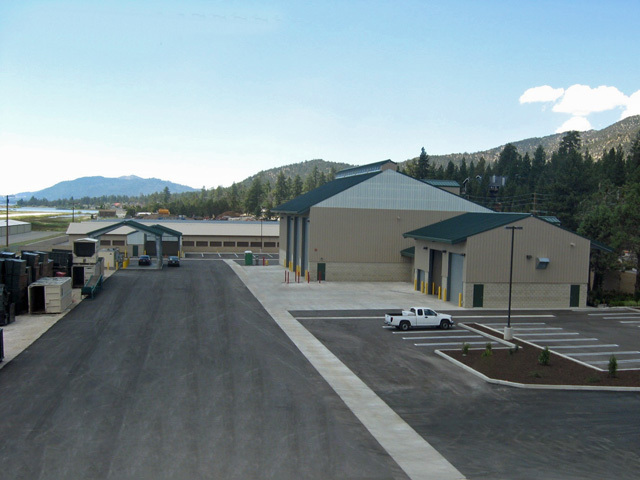 One of our niche business areas is the construction and erection of pre-engineered metal buildings, which are often used to house refuse processing operations. With the proper equipment, trained staff and safety management expertise, we are set up to fabricate the frames and assemble them in place on-site. Our reputation as experts has frequently prompted other general contractors to contract with us for this aspect alone. Because of our strengths in construction management, FB&E is the right industrial contractor to take care of every last project detail. From concept to delivery, we keep track of everything and maintain constant communication with owners and architects. We ask questions until all parties are completely on the same page. Our experience in working with municipalities positions us well to handle all the zoning, permitting and environmental concerns that go hand in hand with managing recycled materials and refuse. Contact Facility Builders to handle your next project today.